Product prices and availability are accurate as of 2019-04-21 19:05:21 UTC and are subject to change. Any price and availability information displayed on http://www.amazon.com/ at the time of purchase will apply to the purchase of this product. 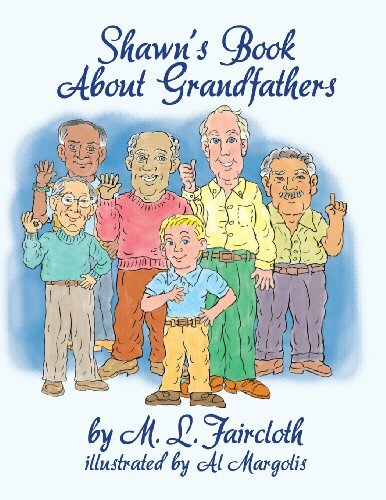 Author Bookstand is proud to offer Shawn's Book about Grandfathers by Bookstand Publishing. Bookstand Publishing offers books by the best indie authors throughout North America and the world. Bookstand Publishing is dedicated to offering original content to a broad audience and promoting great authors, literacy, and freedom of expression. Shawn's Book about Grandfathers has generated a lot of interest and excitement and we think it would be an excellent addition to your library. I'm Shawn, and I want to tell you about grandfathers. Grandfathers may be short or tall, fat or skinny, bald or hairy, and a little grumpy or very kind. They may be named Big Daddy, Moose, Gon-Gon, Abuelo, Pa-Pa, or anything else you called them when you could first talk, such as Dada or Pops. 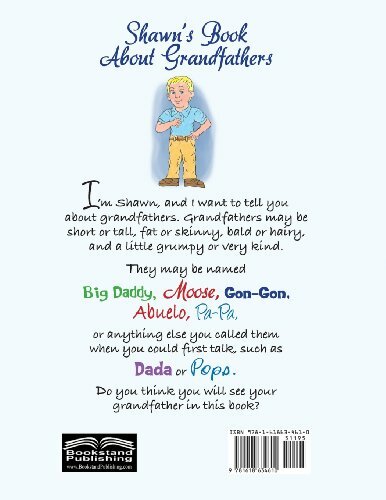 Do you think you will see your grandfather in this book?